Backflow Prevention & Installation | Morristown Automatic Sprinkler Co.
As a result of new mandates passed down by the state of Tennessee, many water purveyors are now requiring systems to be retrofitted with backflow prevention; therefore, one of our most common services is new backflow installation on existing fire sprinkler systems. 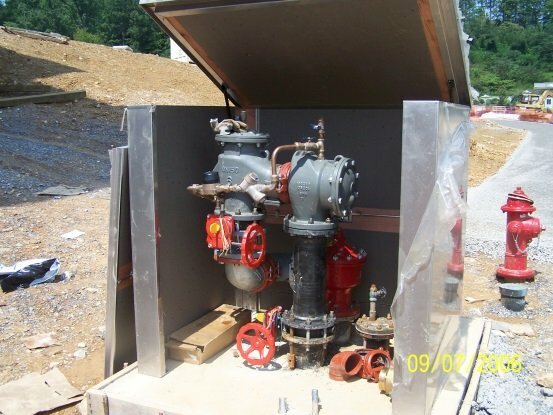 We have years of experience and success installing these and can help you determine the best location for the backflow device, whether outside in a heated enclosure, or inside the building at the sprinkler riser. Once the backflow prevention device is installed, we test and certify the installation. 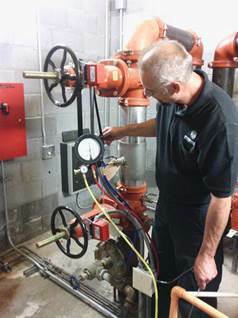 Whatever the job requires, you can count on the experts at Morristown Sprinkler to properly install a dependable backflow in your fire sprinkler system. Have questions about backflow prevention? Contact our experts today.